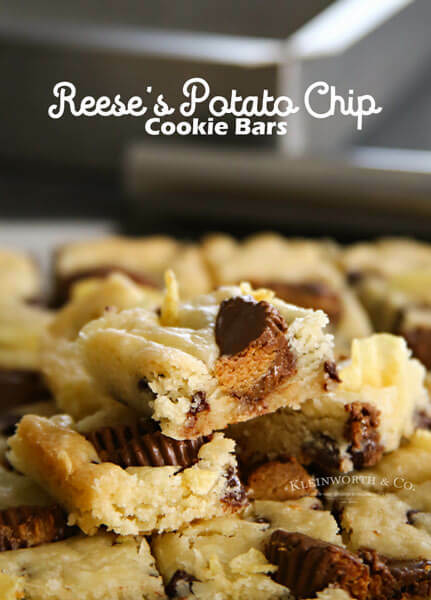 Reese’s Peanut Butter Cookie Dippers add a delicious twist to classic peanut butter cookies. 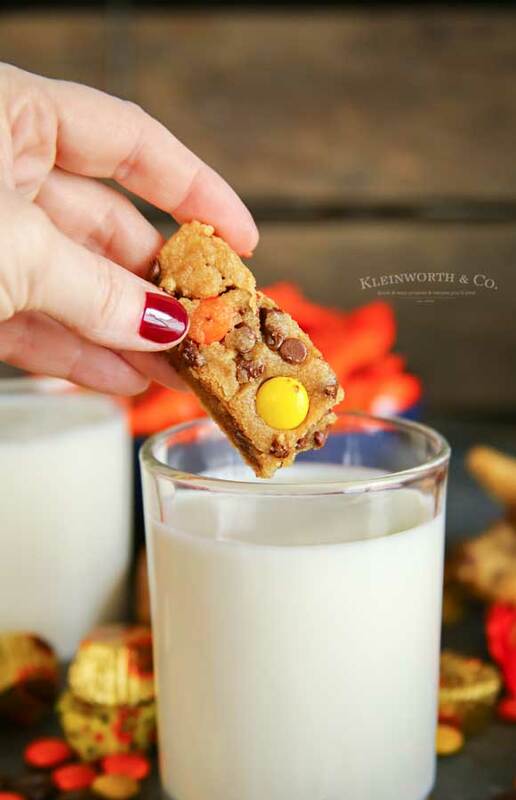 Packed with Reese’s Pieces, these cookie sticks are perfectly dunkable. This post is sponsored by Kroger. All comments and opinions are my own. Who loves peanut butter? We sure do! Which is why it is always on the menu when planning our March basketball parties. 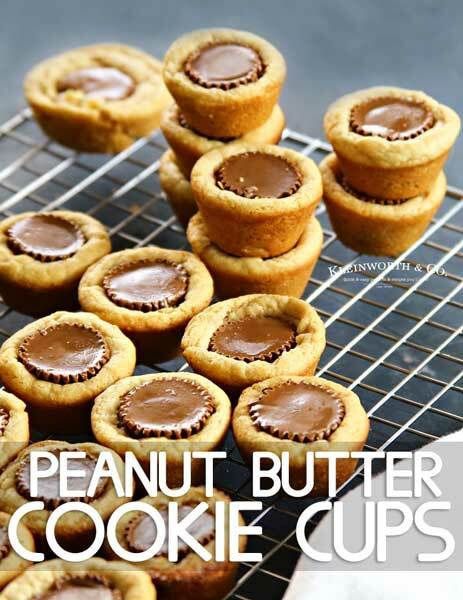 One of our favorite recipes to serve are these Reese’s Peanut Butter Cookie Dippers. 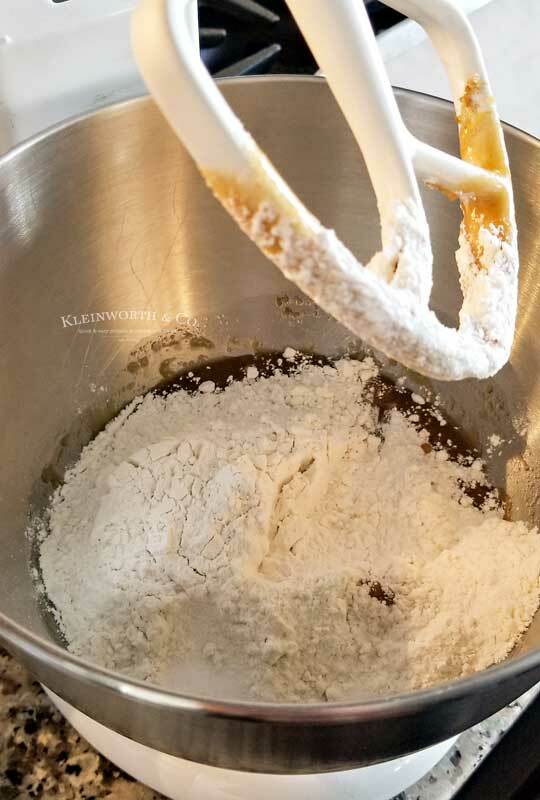 Have you ever made cookie dippers before? It’s like a regular cookie, but these are cut into sticks, making them perfect for those that love to dunk. Since we are talking basketball parties – anything dunkable is a win in my book. Right?! Basketball is a big deal in our area and we follow our local team closely. That means the basketball parties are happening often & I need good snacks. 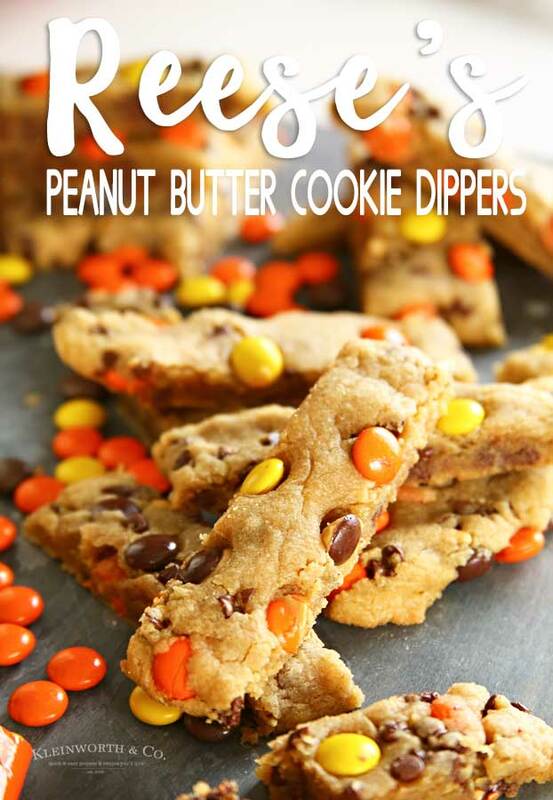 I always stop at my local Fred Meyer & pick up all my Reese’s snacks to make sure I have enough for snacking and for adding to recipes like these cookie dippers. I don’t have a Fred Meyer near me. Where can I shop? Fortunately Fred Meyer is part of Kroger Family of Stores, so it is easy to find one near you. Look for other stores within the family such as Baker’s, City Market, Dillons, Food 4 Less, Foods Co, Fry’s, Gerbes, Harris Teeter, King Soopers, Jay C Food Store, Kroger, Owens Market, Pay-Less Super Markets, QFC, Ralphs & Smith’s Food and Drug. What other snacks can I add to my game-day spread? 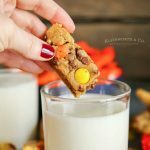 First, don’t forget the milk with these cookie dippers. 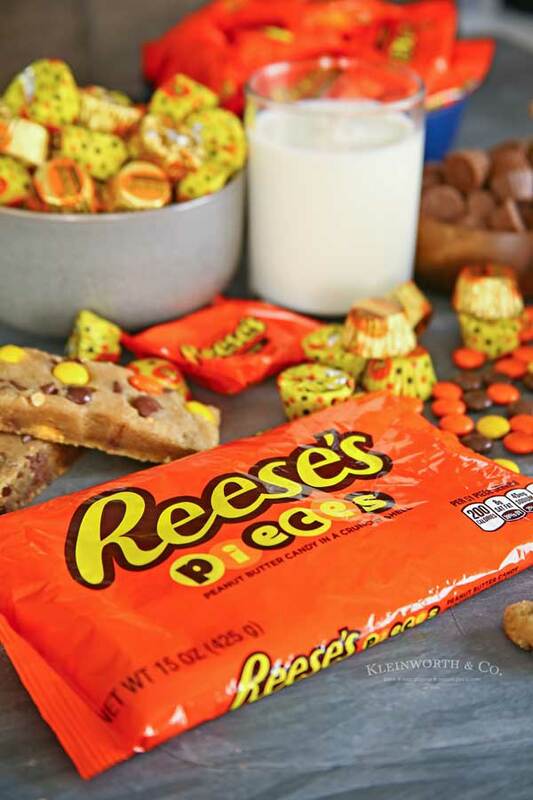 But make sure you also include Reese’s Miniatures, Reese’s Peanut Butter Cups, Reese’s Minis & of course, more Reese’s Pieces. Does this recipe require chill time? The good news is that this recipe does not require you to chill the dough before baking. This makes me super happy, because not only does that mean I don’t have to wait, but it also makes my game day party prep super quick. 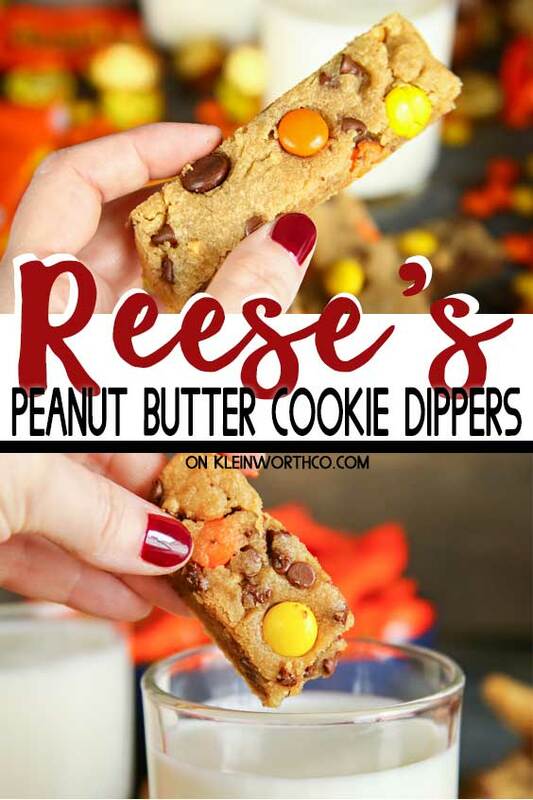 HOW DO YOU MAKE Reese’s Peanut Butter Cookie Dippers? Line a baking sheet with parchment &set aside. 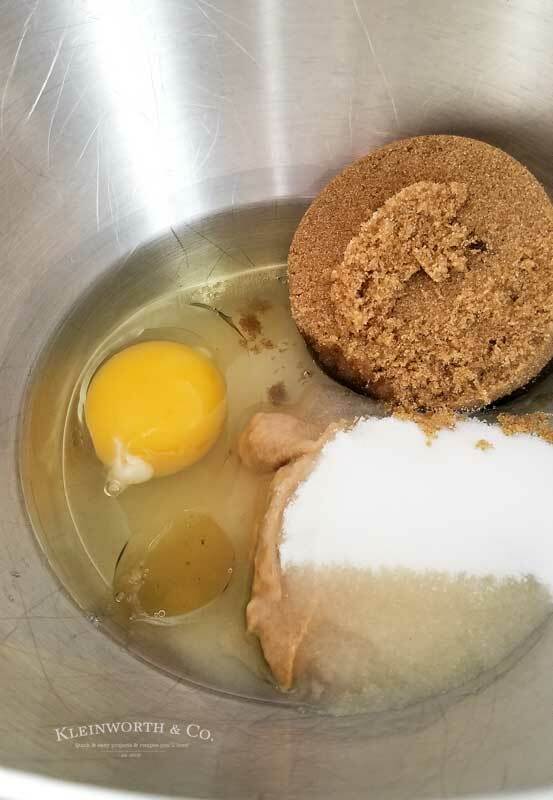 In a large mixing bowl, combine oil, peanut butter, sugar, brown sugar, egg & vanilla. Mix until smooth. Slowly stir in flour, baking soda & salt. Once mixed, increase mixing speed and beat well until well combined. 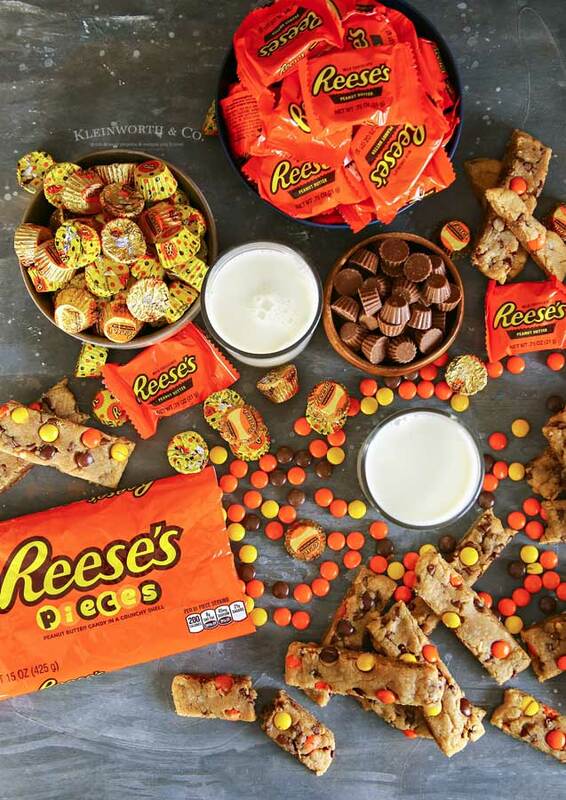 Fold in Reese’s Pieces & mini chocolate chips – reserving a handful of each for the top of the dippers. 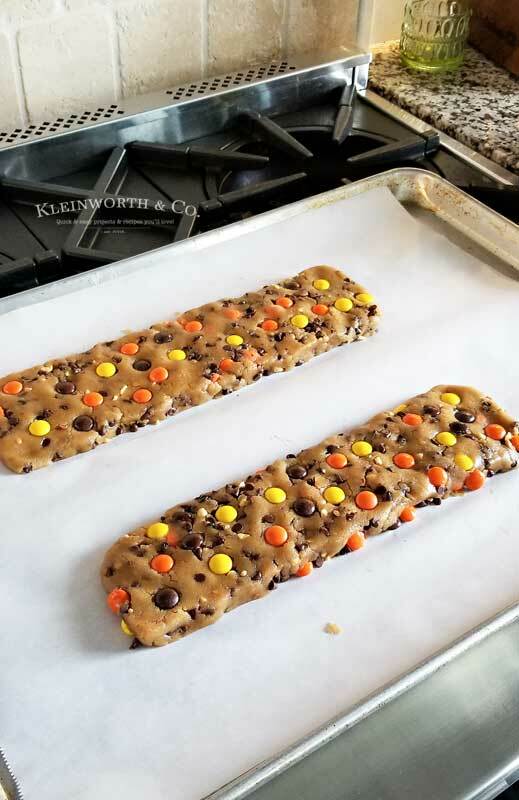 Shape each half on the prepared baking sheet, forming into 2 long, flat rectangles (approx 15″x3″ – leaving about 3″ between the rectangles). 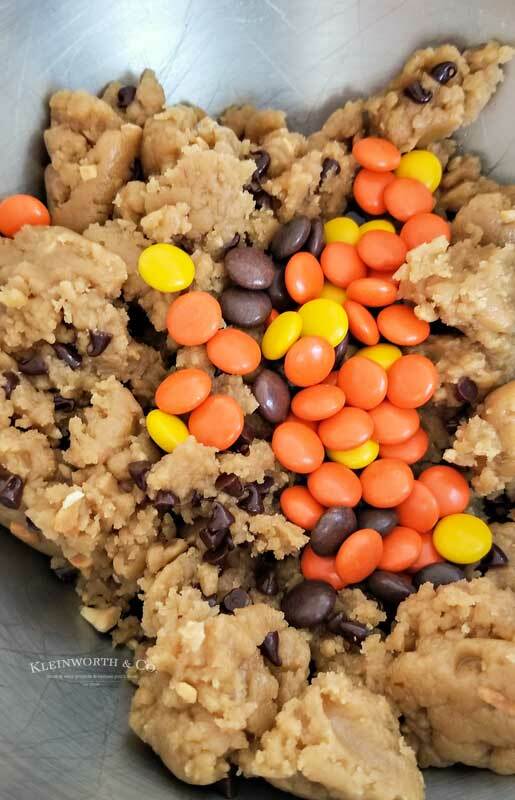 Top with remaining chocolate chips & Reese’s Pieces. Cool approximately 10 minutes before cutting into cookie sticks using a serrated knife. Move the cookie sticks to a wire rack to cool completely before serving. These recipes are too good to keep to yourself, share them with more than just friends and family at your Taste of the Tournament Party, using hashtag #TasteoftheTournament – And visit www.TasteoftheTournament.com for more game day ready recipe inspirations. Kroger is your one-stop shop for all your Taste of the Tournament party needs. Find many food & beverage quick grabs & loads of inspiration! 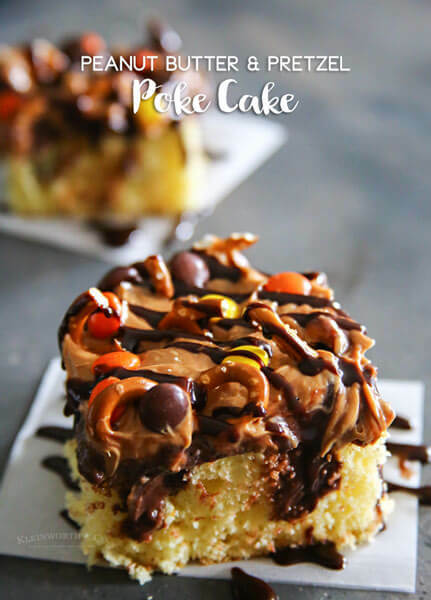 Looking for more great recipes with Reese’s? 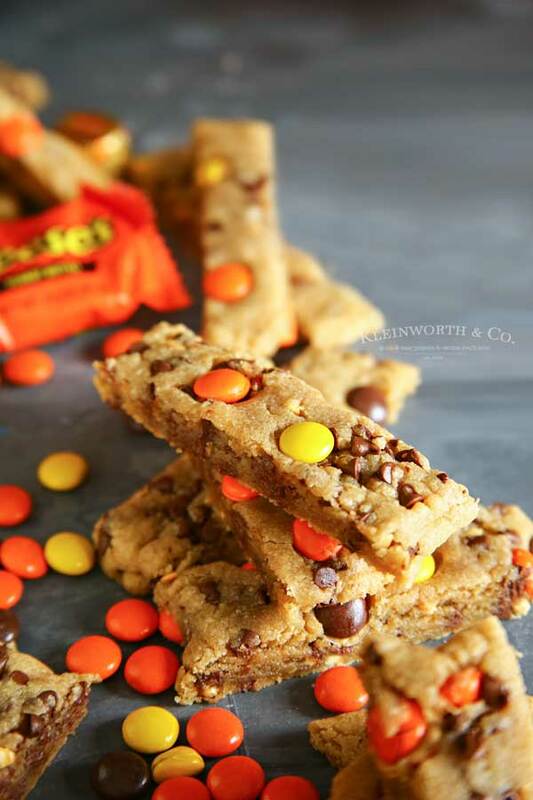 Reese's Peanut Butter Cookie Dippers add a delicious twist to classic peanut butter cookies. 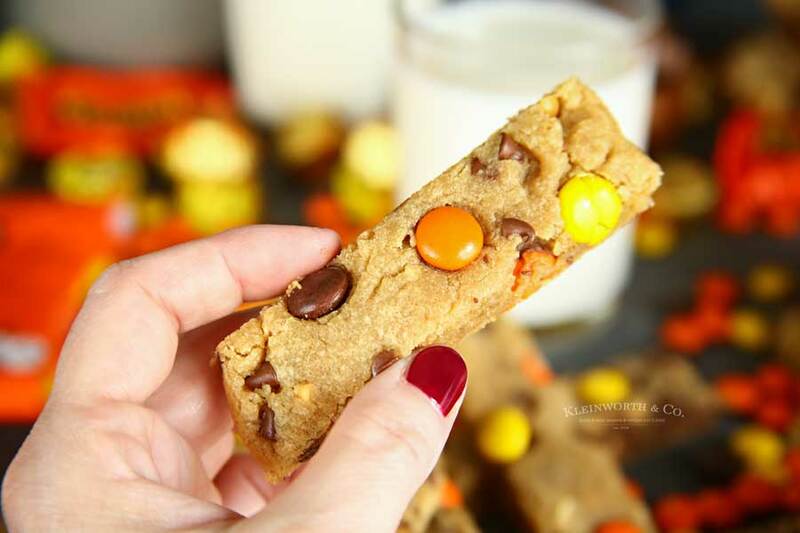 Packed with Reese’s Pieces, these cookie sticks are perfectly dunkable.